Several years ago I attended an ordination service where I heard McAfee professor Loyd Allen say something like this to the candidate: “Love the church but don't worship it.” His admonition has stayed with me. We worship God but we love the church that God’s Son established. Darrell Gwaltney, dean of the School of Religion at Belmont University, convened a lunch meeting yesterday with six ministers, seven including him. Most are “retired” but still involved in some type of ongoing ministry. It was quickly determined that this group represented over 300 years in combined ministerial experience. As we talked about matters of mutual concern, it was very clear that each of these individuals loves the church. I am not talking here about the Church Universal, the church made up of all the believers of the call the ages. These ministers do love that Church, but they also love the local congregations that are the Church on every continent today. After all, those local congregations are the ongoing manifestation of that Church of the Ages. Those churches are the ones that serve as the hands and feet of Christ in the world today. All of these ministers have served local churches at one time or another as clergy. Although some moved into other areas of ministry, all have continued to invest themselves in local congregations. They know the importance of such involvement. This is another expression of their love for the church despite their familiarity with it. They are also concerned about the health and the future of the church they love. In these changing times, they wonder how the church will fulfill its mission. In Christianity After Religion, Diane Butler Bass reports that only 14 to 22 percent of the population in the United States actually attends Sunday morning worship. In a recent blog, Dr. Gwaltney commented, “Even as churches need to rethink how they reach people and meet their spiritual needs, each of us needs to find a community of believers to hold us accountable, to encourage us, and to disciple us. Even Jesus established a community. You need one, too.” Each of these ministers would certainly agree with that observation. The ministers who met for lunch realize that the church faces challenges each and every day that it sometimes fails to meet, but they also know that the church is God’s plan, the church is on God’s mission, and they have chosen to continue to invest their lives in it. They still love the church. As readers of this blog have observed, I believe that ministry entrepreneurs are serving a significant role in Kingdom work today and will continue to do so in the future. I have had the chance to meet such creative people and to learn from them. These gifted men and women have cast many of the old paradigms aside and are taking advantage of the new resources in our evolving context. They learn not only from traditional Christian sources but from the marketplace as well. In a recent blog, Claire Diaz-Ortiz shared some insights she learned from her involvement in the startup of Twitter that might be helpful to social entrepreneurs. 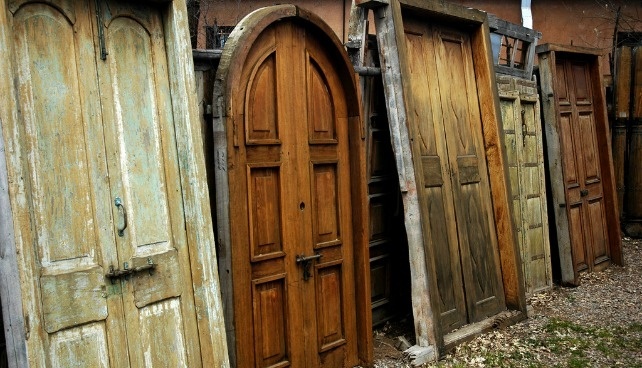 Let’s consider how these might apply to ministry entrepreneurs. First, take risks. Diaz-Ortiz comments that “big risks bring big rewards.” Every ministry entrepreneur must assess risk from his or her own perspective, but it is certain to involve some sense of skepticism and even rejection from religious entities that cling to the concept “but we have always done it this way.” As a result, the ministry entrepreneur may find himself or herself alienated from familiar support structures. Second, collaboration is key. The ministry entrepreneur must seek out spaces of collaboration in his or her work. These may be groups or individuals with similar interests, potential stakeholders, agencies and institutions, not for profits, and some churches and judicatories. Although the entrepreneur has a vision, there are others who may share that vision. Once a ministry leader clearly stakes out his or her calling, resources may come from the most unexpected places. Robert Parham of ethicsdaily.com has sought and found new partners and funding to further the work of his organization, some from outside the Baptist world. This does not happen by chance but requires initiative and persistence. Too often we offer people help in such a way that they can not effectively use it. My friends Emily and Eliot Roberts at Neverfail Community Church helped me to understand that someone may be in need but they are not powerless. Their dignity must be respected, their responsibility honored, and their personal resources accepted. Fourth, balance is essential. Diaz-Ortiz reminds her readers, “All social entrepreneurs would do well building balance and margin into their lives so they can tackle the challenges to come.” For ministry entrepreneurs this means not only giving priority to family and health needs but attending to their spiritual health as well. Since they often operate outside the doors of a traditional church, ministry entrepreneurs can easily neglect their own involvement in the community of faith as well as their spiritual development. I have to admit that this is not limited to entrepreneurs. There are many pastors and other clergy who never really worship because they are absorbed in leadership details. Every person involved in ministry is tempted to shortchange their own spiritual health. State CBF organizations have struggled in many situations because key leaders—including many pastors—may believe in the vision that the organization embraces but they have not taken a public stance of support. The ones who do so make a difference and multiply the work of state leadership. They become the evangelists. Six, marketing is storytelling. “Find your story, and tell it well,” Diaz-Ortiz says. Vision can tend to be distant and abstract from the daily experiences of people. We have to put a face on a ministry. When we find simple, succinct examples of where a ministry has made a difference, we need to tell that story. “Telling the story” does not mean that we create something but that we talk about what we have seen. We deal with specifics not abstractions. Wayne Smith, who directs Samaritan Ministry in Knoxville, is very proficient in telling the stories of HIV-AIDS victims and their families while respecting their privacy and personhood. He understands that we will not support ministry to anyone until we see them as people made in the image of God. A new ministry does not start in a vacuum. There are both challenges and opportunities in very situation. The ministry entrepreneur must carefully identify both obstacles and resources. Starting something new is not for the faint of heart, but it can produce great rewards for the Kingdom of God. The story goes that a politician was once asked where he stood on an issue. He responded, “Some of my friends are for it. Some of my friends are against it. I’m for my friends.” I thought about this story when I read the news reports about the latest annual meeting of the Tennessee Baptist Convention held in Memphis. Many of my friends still find their place of denominational service through the state Baptist convention, so I am always interested in learning how they are getting along. The report in the Baptist and Reflector, the TBC paper, stated that the meeting had “the lowest messenger count in decades”—926 registered messengers from 419 churches. (There are 3200 churches affiliated with the state convention in Tennessee.) This is even more surprising when one considers that about one-tenth of those registered were probably denominational employees (including directors of missions from 66 district associations). Editor Lonnie Wilkey suggested a couple of reasons for the low attendance. First he cited the cost involved. I can see his point. I have tried to promote meetings in the Bluff City and it is hard to get folks from east of Nashville to make the trek. But his second comment really got my attention. Well, how is that working out? Let me cite one example from the Baptist and Reflector report. One of my friends was nominated for the Executive Board. He affirmed the Baptist Faith and Message (2000) with one exception—“The office of pastor is limited to men.” My friend is the long time pastor of a church that gives 15.15 percent of its undesignated gifts to the Cooperative Program of Missions. His church has never ordained a woman or had an ordained woman or deacon in a leadership role in the church during his 25 years of ministry, but he objected to the BF&M 2000 being “a litmus test for leadership.” Of course, he was removed from the slate and replaced by a person whose church gave only 3.84 percent of its undesignated gifts to the Cooperative Program last year but who obviously has no problem with the creedal statement. Although I wish that my friend were more proactive in his affirmation of women in ministry, I appreciate his willingness to take a stand even it meant that he was “cast out” of a leadership role in an organization that he and his church have faithfully supported. There are a couple of other incidents that came out of the meeting, one that seems to have been a rebuke to a younger leader, but I think you get the idea about the direction that this particular judicatory is going. Last week I wrote a blog about various approaches to serving churches in a new religious environment. One reason that churches are seeking partnership alternatives is that they want to find individuals and organizations that will come alongside them and work together as fellow servants in the Kingdom of God. This is very different from judicatories that seem to want the churches to serve them and assure the judicatories’ survival while allowing the judicatories to “call the shots” on who will be allowed to have influence and control. In light of this, I think some of my friends need all the friendship that I can supply. The decline in traditional denominations continues. This is not limited to mainline Protestants. Catholics, Jews, and some conservative or evangelical groups are experiencing declines in membership and attendance as well. In many cases, this decline started decades ago, but various groups are only now admitting the impact on their ministries and programs. Endowments and financial reserves have helped to maintain the status quo, but these are not as robust as they once were and may even be depleted. We might identify any number of factors behind this decline—demographic (including ethnic shifts and birthrates), social, economic, and theological—but that is not the point of this blog. I will leave that assessment to others. 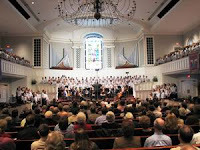 As denominations have declined, the structures they developed and supported have declined as well These bureaucracies (and I do not use that word in a pejorative way) once provided many services to local congregations—the coordination of mission and ministries nationally and internationally, Christian education resources and training, the education of clergy, and consulting services to assist churches, clergy and laity. Most of these structures were at their greatest strength in the sixties. Today, news releases about staff cuts, restructuring, and “new ways to serve churches” are seen quite regularly, especially around the time new budgets are being developed. While denominational bureaucracies decline, many local congregations—some that identify with a denomination and some that do not—are seeking to be healthy, growing expressions of the Body of Christ. A big difference is that they no longer look to a denominational judicatory to provide the assistance that they seek. These congregations might be called missional since they understand that the fulfillment of the Kingdom of God comes when a group of believers discover and fulfill the unique mission that God has given to them. To find help to pursue this mission, these churches seek out support in many different places. These include independent publishers, free-standing social ministry and mission organizations, colleges and theological institutions, and consulting and training firms. I am pleased to be connected with four organizations that provide this kind of support to churches. One is Central Baptist Theological Seminary in Shawnee, Kansas, led by Dr. Molly Marshall. Central is providing new ways to serve churches and their leaders through a Doctor of Ministry program with a cross-cultural emphasis, an alternative Master of Divinity called create that seeks to develop entrepreneurial leaders, the Foundations ministry certificate, the Korean Contextual Theological Education program, the Transformed by the Spirit Leadership Center, and other programs. These initiatives recognize the many changes that have happened in congregations in recent years and attempts to respond to them. I have the opportunity teach for Central from time to time and provide some consulting services. 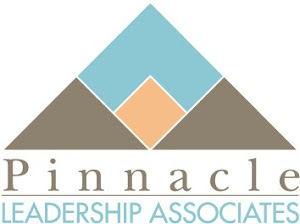 Another is Pinnacle Leadership Associates, led by Rev. Mark Tidsworth. Pinnacle associates are an ecumenical group of trained ministers who provide coaching, consulting and training to churches, judicatories, and not-for-profit organizations. This includes clergy coaching, staff development, visioning consultations, personal and professional development, and conflict mediation among others. In many ways, Pinnacle provides services that churches once received from denominational entities but which are no longer available or appropriate. 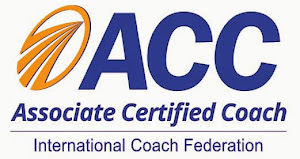 I serve as Coaching Coordinator for Pinnacle and do clergy coaching and training. The other two are ethicsdaily.com and Associated BaptistPress. Ethicsdaily.com provides both resources and information for clergy and congregations so that they can respond effectively to today’s challenges. They are kind enough to pick up some of my blogs and allow me to share my opinions with a larger audience. Associated Baptist Press is a news and information service that understands how to communicate in the 21st century. I am an occasional blogger for their web site. Another unique thing about organizations like Central Seminary, Pinnacle Associates, ethicsdaily.com, and ABP is that they are not dependent on denominational resources. Although they may receive gifts from denominations or partner with them on special projects, they have also developed other funding streams including private contributions. I am pleased to be a small contributor to three of these groups. I could identify a number of other 21st century organizations that are providing unique services to churches—Global Women, Baptist Women in Ministry, Wycliffe Bible Translators—but I think I have made my point. Whatever your need or that of your church, there are partners ready to come alongside and help you fulfill your mission. Are We Ready for Diversity? Every time I visit my son and his family in the San Francisco area, I come back profoundly impacted by the diversity of the people I encounter—Japanese, Korean, Chinese, various East Asian and South Asian people, and Hispanics. Sometimes the situation is almost surrealistic as one sees a Japanese family touring the USS Hornet, an aircraft carrier whose planes inflicted major damage on Japanese planes, ships, and facilities during World War Two! The fact that we are becoming a nation of minorities in which Euro-Americans will soon be one was emphasized by the recent Presidential elections. Mr. Romney was not just defeated by President Obama and a well-run organization but by demographics—a country that is increasingly Hispanic and Asian, a country of diversity. This is a trend that is not going to change. I have often commented on the growing ethnic diversity in our little part of Tennessee, but we have only begun to experience what will be a tidal wave of change in the coming decades. Even the small changes we have seen have prompted some backlash and paranoia on the part of the shrinking majority population. And I have not even started to address what this means to the church! How will our suburban, predominantly white congregations respond to the changes around us? If we look at what has happened with our African-American neighbors, we see that the Sunday morning worship hour in churches is still the most segregated time of the week for Christian Americans (a paraphrase of a comment attributed to Dr. Martin Luther King, Jr.). Is this the way forward? I hope not. One reason for hope and change is the number of marriages between people of different ethnic backgrounds. This opens up new possibilities that may lead the couple to become involved in a church where one partner is in the minority. Another option is those churches that recognize that their mission is to be cross-cultural, welcoming mixed-ethnic families and people of all ethnic and racial backgrounds. Look out over your congregation this Sunday. Does that sea of faces reflect the diversity of God’s people? If not, we are missing the blessing of being everything that God has called us to be. Believers have struggled with the reality and mystery of suffering for ages. Job and his friends in the Hebrew Scriptures, the Apostle Paul in his letters, theologians through the ages, and pastors in hospital waiting rooms have all attempted to deal with the problem of pain and suffering. We know the classic statement of the problem: “If God is good and all powerful, why does God allow suffering in the world?” The failure to do so brands God as either evil or impotent in the eyes of many. Some reject God because they cannot figure it all out. Their argument goes something like this: “If I can’t understand why there is evil and suffering in the world, then I have to question God’s existence or turn my back on an evil God. Too often these quests come down to the individual’s belief that what he or she can understand is the final test. In other words, it’s all about me. If the God the universe can’t satisfy my questions, then forget God! Job takes a very different approach. In the light of the recriminations from the “friends” who come to”comfort” him, Job says, “Though he slay me, yet will I hope in him.” (Job 13:15a, NIV) Job gets it right in my opinion. It’s not about him; it is about trusting God even when I don’t understand what is going on. God has not forsaken us but walks with us through the most difficult and trying times. Thanks be to God! During the election season (which seems to grow longer every time it comes around), the focus is mostly on convincing rather than informing. Ads, speakers, phone calls, e-mails and direct mail campaigns usually try to tell us where one candidate is wrong and another right. Even so, I have often found in this election that occasionally I AM informed and learn something from a candidate or one of their supporters that raises a significant question or makes me reassess one of my assumptions on an issue. I have also realized that there are things that I can agree with another person about even if I do not buy into everything they say. This has been my approach in much of my reading, viewing, and listening. Though I may differ with a person on some matters, I can learn from him or her. I try to be aware of what people from a variety of perspectives—business, culture, religion—have to say and glean what is helpful for me. I may have some theological differences with Andy Stanley, Bart Ehrman or Thomas Keating, but they can teach me something. Patrick Lencioni, Jim Collins, and Ken Blanchard all come from different religious perspectives, but they know organization and leadership principles that are very helpful. How can we learn from others? First, we need to come with an inquiring mind and a teachable spirit. Second, we need to have respect for the person even if we may not agree on all points. Third, we must know how to ask good, positive questions. Fourth, we should hold our own assumptions lightly so that we don’t cut off dialogue. Fifth, we should know what is non-negotiable for us and review it often. Finally, we must strive toward application. We don’t give up anything in this process and may gain a great deal.